The Little Book of Hygge! Autumn is my favourite season because it’s when I get to pull out my cozy sweaters and wrap myself up in my blanket scarf. It also means the temperature has cooled down enough for me to properly bake again. (My favourite baking recipe is at the end of this post!) Autumn is also a season of change. 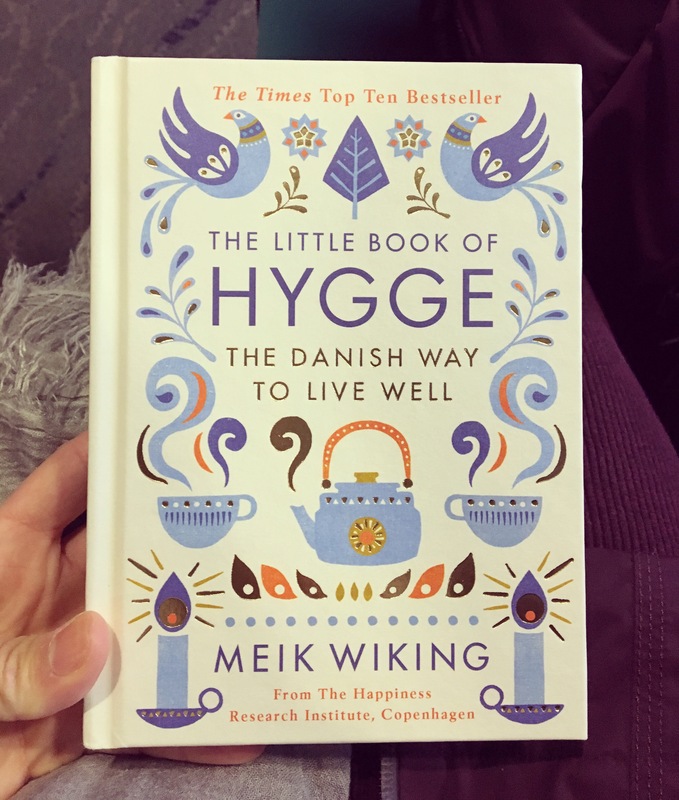 About a month ago, I picked up a book a book called The Little Book of Hygge, and it, like yoga did many years ago (and still does), has inspired me to make further positive and healthy shifts in my life. Life is a constant project. I like projects, so the West Coast Hygge Project was born. Why? Why not? But to pinpoint a specific reason, like the city of Edinburgh, and like yoga, the book and the Danish concept of hygge spoke to my soul. I realize how ‘whatever’ that may sound, but it’s the truth. I’ve spent the last three years healing and strengthening from separation and divorce. The latter two of those years has been in a relationship with the Brit, who would be so British-ly embarrassed by me saying that he is wonderful and the person who makes me feel the happiest and most hygge. But it’s true. I brought my inner light back to full shine with a lot of hard work, but he has significantly contributed wattage. We are merging our homes together in November and my heart is very full. Which is part of what hygge is about. Atmosphere – Soft lighting. Candles. Lots of candles. Pleasure – Indulging in the things that bring us joy. Food, activities, etc. Equality – Kind of like the expression that there is no ‘I’ in team, hygge is about sharing and doing things together. Gratitude – Appreciation of what is around you. So important! Comfort – Cozy, cozy, cozy! Relaxation and recognizing when you need a break. Truce – No drama or controversy. Togetherness – Nurturing and building relationships. Shelter – Feeling safe and secure. My birthday is on Thursday and I’ve decided to immerse myself in hygge for a year. I look forward to learning what hygge means to me and have the feeling it will be a really wonderful adventure. The Brit is on board; intrigued, and I think a bit wary of some of the crazy ideas I will toss his way, but he’s a good sport. Circling back to baking, here is my recipe for Honey Oatmeal Chocolate Chip Cookies. They are my go-to dessert to make for any event, and the way my apartment smells when I make them is on point (or on hygge?) for hominess. It’s the perfect recipe to step into the autumn season with. Tasty oatmeal chocolate cookies using honey as a sugar alternative. Best enjoyed with a nice cup of tea or coffee. 2 cups flour – glutenous all purpose is best, but I’ve tried spelt, kamut, and cup-for-cup flours as alternatives with very tasty results! In a large mixing bowl, cream honey, shortening and butter in with a mixer until smooth. In a separate, smaller bowl, combine th flour, oats, baking powder, baking soda and salt; whisk to mix well. Add flour mixture to honey mixture; mix thoroughly. Stir in chocolate chips and (optional) nuts. Use an ice cream scoop, cookie dough scoop, or large spoon to drop by the heaping teaspoonful onto greased baking sheet. Bake for 12 to 16 minutes or until lightly browned. Repeat for however many trays of cookies. Who/what/where makes you feel hygge? Share in the comments below.